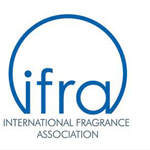 The Aroma Company are the UK’s leading innovators of scent marketing technology and are globally recognised as industry experts. 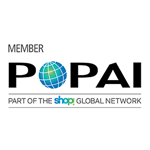 Established in 1993, we’re a small and unique close knit team who over time have built close relationships with agencies, retailers and the world’s global consumer goods companies. Anyone looking to improve their brand identity and presence in marketing campaigns using the sense of smell are our kind of customer! No job is the same for us here; from the quirky and bonkers campaigns for TV and tourist boards, to household brand names using their own fragrances in global campaigns, to hotels wanting their spaces to smell fabulous- we cover it all. Send us an email at info@aromaco.co.uk or give us a call on +44 (0)1491 835510 and we can discuss what’s right for you. In the midst of the explosion in the number of communication channels with consumers, and within such a crowded marketplace, emotional engagement with brands has never been more important. The more frequently and consistently a brand can connect with a consumer on an emotional level, the strong and deeper the brand engagement. Research has shown that of the five senses smell is the sense most linked to our emotional recollection. So, when linked to a product, it can reap dividends. Studies show that 75% of emotions are triggered by smell which is linked to pleasure, well-being and memory. "Consumers use all of their senses to experience a brand. The sense of smell emotionally effects humans up to 75% more than any other sense"
The patented interactive sampling invention that delivers an aroma at the push of a button. A quick, simple and creative way to help customers connect with your display - and linger for longer. • Ideal for any type of fragrance or flavour sampling – be that a brand fragrance or food flavour. • No need for a power supply. • Perfect for multi sampling as several can sit alongside each other on a display without the aromas mixing. • Easy to install the flexible design; ideal for POS, product launches, poster sites and exhibitions. • Lasts up to 8 weeks. Touch to Smell is a modern day scratch and sniff which uses encapsulation to create aroma solutions in print. Aromatic oil is formulated into a specialist printing medium which forms an invisible layer of microscopic bubbles on the paper or card. When touched, these bubbles release a burst of aroma, giving a perfect rendition. Aroma infusion technology. Some of our technologies work beautifully without any interaction at all. Aroma is infused within paper, card or beads and gently emits over time, making it a simple way to help your brand to stand out. Aroma diffusion technology. Creating a brand fragrance zone? Enhancing shopper experiences? Evoking a memorable, theatrical atmosphere? Have a look at our products above to see how they can help you do it. Whether looking for your own bespoke fragrance, inspiration from our library or looking to include scent in your print projects- the Aroma Centre can cater for all your needs. When does Christmas begin for you? Is it when your local town turns on the Christmas lights? When Costa and Starbucks announce the release of their seasonal spiced latte? Perhaps it’s when you hear, for the first of many times each year, the voices of Mariah Carey or Wham. The beginning of September this year sees the celebration of an exquisite and unique trading event: International Jewellery London. From 2nd to 4th September, the Olympia Centre in West Kensington will play host to a sparkling extravaganza of jewellery.